A highlighter and pressed powder kit, which can be used to help sculpt and define one’s features. This product contains two powders. 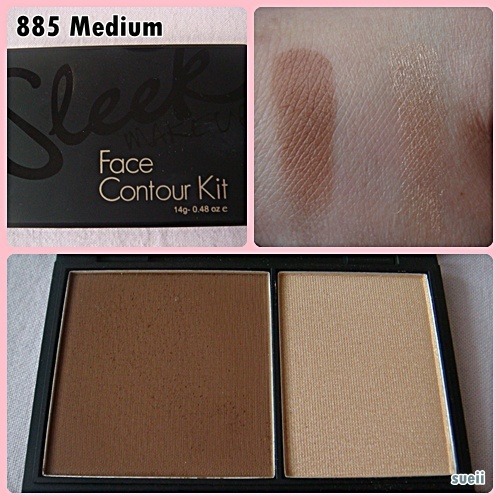 Contains a medium brown contour powder and a highlighter. + easy to blend. very smooth and not powdery at all! - more handy if it came with an applicator: easy for on to go! 3/5 because of the contour colour and the smoothness of the texture!